Drizzle honey is an everyday luxury you can feel great about. 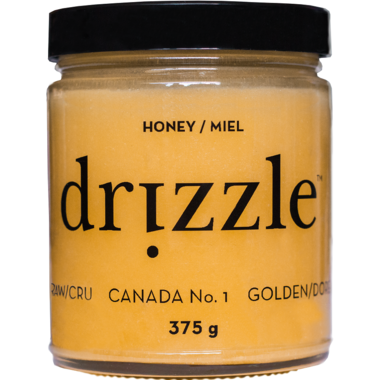 Drizzle is completely raw, bee-friendly, and supports Canadian beekeepers too! 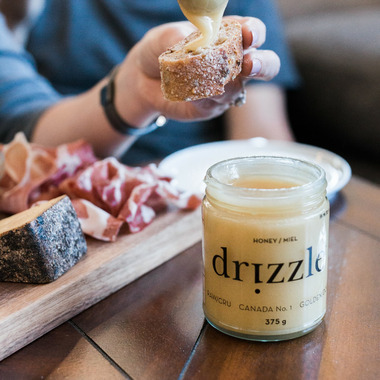 Drizzle Golden is a rich, bold, raw honey, perfectly paired with daring flavours like hot sauce, aged cheese or a cup of strong coffee. Gently warm with salted butter for a delicious drizzle over fresh biscuits, cornbread and popcorn. Ingredients: 100% Canadian Raw Honey.